Target and HEB stores in Austin. At an hour when many people are tucking themselves in for the night, the cleaning crew at an Austin-area Target store is just getting started. By the time it finishes in the early morning, workers will have cleaned the bathrooms, taken out the garbage, washed windows and carpets and polished the floors to that reflective white sheen on which the Target Corporation prides itself. One of those janitors — a 57-year-old Mexican immigrant who preferred to go by his nickname, “Chunco” — has worked for various contractors cleaning Target stores in Central Texas for about 12 years, despite lacking the legal right to work in the United States. 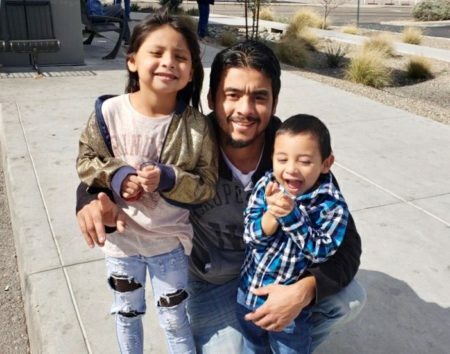 And he’s not alone: “All of the [cleaning] workers I’ve known were undocumented,” Chunco told The Texas Tribune, speaking in his native Spanish. 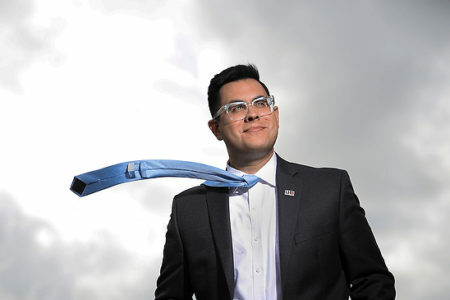 While his immigration status hasn’t posed a significant roadblock to his continued employment, it has exposed him to the risks that come with working in the shadows. He and his fellow custodians have repeatedly been paid less than minimum wage and worked six or seven days a week with no overtime pay, according to court records and Texas Tribune interviews. In some cases, they accumulated those overtime hours when Target managers would lock them in the store for extra tasks. What Chunco describes is a window into an expansive underground labor market in which illegal hiring is widespread, even among some of the biggest names in American business. Yet the risk of running afoul of immigration authorities is low. Employers skirt culpability by accepting fake documents that they are not legally required to verify, misclassifying workers as independent contractors or subcontracting to separate businesses that do the actual hiring — all while claiming they did what the law requires to verify their workers’ employment authorization. It’s that “don’t ask, don’t tell” system that allows employers to benefit from cheap immigrant labor. The same shadows under which undocumented immigrants are hired can also obscure the further exploitation they often endure. “The fact that they’re in the shadows makes them vulnerable,” said Bill Beardall, executive director of the Equal Justice Center, a nonprofit law firm that represents low-wage workers in Texas. And he would know: A large portion of the center’s cases involve unpaid and underpaid wages to immigrant workers. Two of its cases illustrate the nature of this abuse, and how brand-name employers attempt to distance themselves from such transgressions. Back in 2007 to 2008, the Equal Justice Center represented Chunco and 28 other janitorial workers in a lawsuit against Target and a contractor called Jim’s Maintenance for unpaid wages and overtime. According to publicly available court documents, Target’s lawyers asserted that the retailer was not a joint employer of the workers and thus not responsible for the wages that Jim’s Maintenance had failed to pay. Target instead claimed that the workers were employees solely of Jim’s Maintenance. The list of undisputed facts culled from hours of deposition testimony from parties on both sides of the suit reveals the degree of control Target had over the janitors. Target managers decided when shifts would start and directly told the workers when they should come in, which was usually around 10 or 11 p.m. Shifts were typically scheduled to end at 7 or 8 a.m., but Target managers regularly held the workers past the scheduled quitting time. And to ensure Target’s strict cleaning standards were met, managers would frequently lock the workers in the store for the entirety of their shifts. Depositions from both sides also showed that the janitors often worked 60 or more hours each week, yet according to testimony, were never paid overtime. While Target kept records of the workers’ hours, Jim’s Maintenance did no such thing and instead tracked only days worked. The wages the workers did receive often came out well below minimum wage — in at least one case to the equivalent of $4.35 an hour. In 2006, Target terminated its contract with Jim’s after an audit by Price Waterhouse Coopers found that Jim’s had improperly misclassified multiple workers as independent contractors and failed to keep required wage and hour records. Testimony from a Target official revealed that, even after receiving audit findings, Target did not take steps to report the violations to the proper authorities. Instead, it cut ties with Jim’s, giving the cleaning contractor just two days’ notice. The end of the contract put Jim’s out of business since, as Beardall put it, “Its only function in life was to clean stores for Target.” To make matters worse, Target decided to hold on to $496,000 in fees owed to Jim’s for its services for the entire month of May 2006. As a result, Jim’s couldn’t afford to give the workers their final paycheck. For its part, Jim’s Maintenance acknowledged in briefs to the court that it did not pay workers the required overtime wages. The contractor contended, however, that it was merely a “labor recruiter” and “paymaster” rather than a joint employer and that Target was solely liable for the unpaid overtime, as it was the retailer who forced the workers to work long hours. The court ultimately rejected that argument, saying Jim’s was, in fact, an employer. The suit was eventually settled out of court, and Target never admitted any wrongdoing. An attorney who represented Jim’s in the case did not respond to requests for comment. In an emailed response, a Target spokeswoman wrote that the lawsuit “dealt exclusively with wage and hour issues” and did not raise questions about the plaintiffs’ immigration status or that of anyone associated with Jim’s Maintenance. 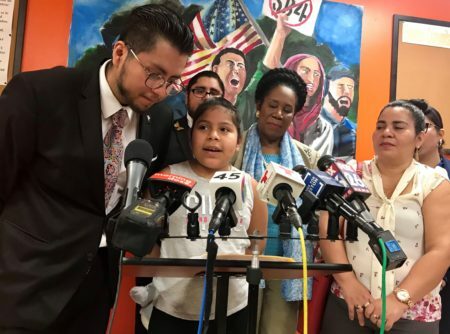 Court documents and a hearing transcript suggest the retailer’s lawyers may have suspected the workers were undocumented and intended to use their legal status against them in the suit. Target’s lawyers sought to grill the workers in their depositions on matters related to their immigration status, specifically about the names and Social Security numbers the workers provided on their employment applications. They argued that if the workers had provided false information on their applications, it would speak to the credibility of their wage and hour complaints. But the Equal Justice Center filed a protective order to prohibit such questions, claiming it would have a “chilling effect” on the workers’ ability to enforce their legitimate wage rights. The judge agreed that the workers suing Target did not have to answer questions related to their immigration status. A similar case unfolded between 2012 and 2013 when workers who cut, bagged and stocked fruit at H-E-B grocery stores filed a class action lawsuit claiming that they had been cheated out of minimum wage and overtime pay. The workers — mostly immigrants and women — worked at H-E-B through a contractor called Pastrana’s Produce, a company with offices in Brownsville and the Mexican border city of Matamoros. The lawsuit named both Pastrana’s and H-E-B as defendants, but the Texas grocer denied responsibility. “They were trying to contend that women who were cutting up fruit and nopal in their store to be sold in the produce rack and paid for at the checkout counter, that those women were contractors not of H-E-B but of something called Pastrana’s Produce,” Beardall said. In sworn affidavits, the produce workers claimed they routinely worked seven days a week, often for 50 hours or more, but weren’t compensated for overtime and did not receive an hourly wage. Instead, they were paid a set rate for each bag of produce that customers bought. That rate depended on the type of produce sold and tended to be so low that their paychecks never amounted to minimum wage. One of the plaintiffs alleged that a manager at the H-E-B store on William Cannon Drive in Austin made her work in the cooler without any protective clothing — an allegation repeated by several others at different H-E-B locations. To further exacerbate the problems, it seems the workers were discouraged from trying to recover their wages. According to the affidavits, some of the workers knew about a previous lawsuit between Pastrana’s fruit cutters and H-E-B but didn’t join at that time for fear of losing their jobs. They said a Pastrana’s supervisor told them the workers who did join would lose the suit as well as their jobs. 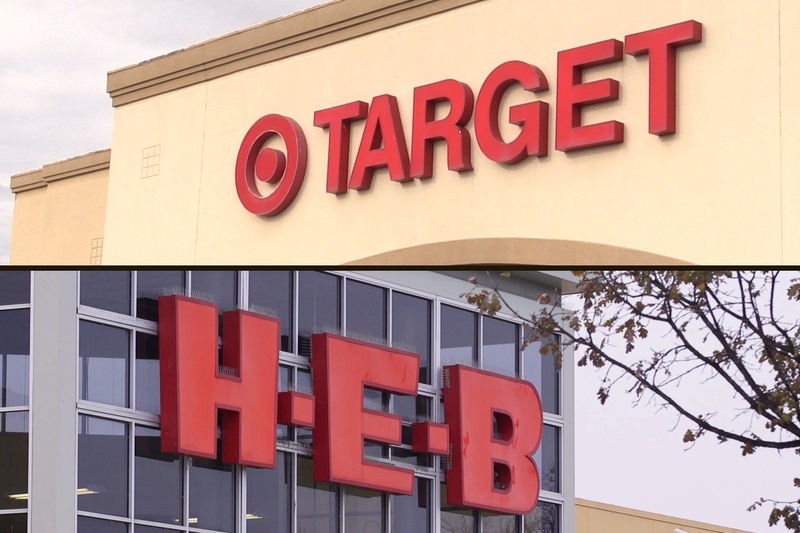 And also like the Target case, the dispute was settled out of court, with H-E-B maintaining that it was not a joint employer. By the time of publication, H-E-B had not responded to questions regarding the case. 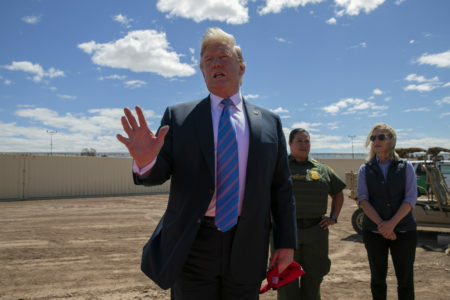 And attorneys for both sides remained tight-lipped both about the terms of the settlement and the specifics of the workers’ immigration status — that is, whether they were authorized to work in the United States. Michael Latimer, the lawyer who represented Pastrana’s, said the plaintiffs’ immigration status was never a question throughout the suit. A woman who answered the door at the former addresses of one of the plaintiffs said she was a friend of the plaintiff and recalled him talking about his case against H-E-B. She also said he was undocumented. The Texas Tribune was able to reach another plaintiff by phone, but when asked to verify whether the produce workers were undocumented, she hung up abruptly. The cases are just two examples of how average citizens reap the fruits of unauthorized labor on a daily basis, even if they may not realize it. Undocumented workers toil away on towering construction projects and harvest crops in sunbaked fields. They prepare food behind kitchen doors and wash the dishes when the meal is done. They build homes, mow lawns and clean stores and office buildings. While many decry the scourge of undocumented immigrants taking jobs from Americans, they rarely address their anger at the businesses that hire those immigrants, businesses whose low prices may depend on the low wages they pay. “What you end up with when you have a group of workers who are relegated to a second-class status is it stimulates a race to the bottom where some employers, the unscrupulous employers, prefer to hire those workers precisely because they’re exploitable,” Beardall said. And so often, those exploitable workers are undocumented immigrants. Chunco’s experience may attest to that dependence. For more than a decade, he has been on the payroll of a string of different companies contracted by Target to clean its stores. So despite the lawsuit and dissolution of Jim’s Maintenance, Chunco is still buffing the same Target floors in the same Target buildings that he has for the last 12 years. And the disadvantages of working in the shadows haven’t quite disappeared: He said his schedule was cut to five hours per shift, but he’s still required to do all the work he used to do in eight or 10. This story is part of Tribune’s yearlong Bordering on Insecurity project. Disclosure: H-E-B has been a financial supporter of The Texas Tribune. A complete list of Tribune donors and sponsors can be viewed here. This article originally appeared in The Texas Tribune at https://www.texastribune.org/2016/12/19/big-name-businesses-exploit-immigrant-labor/.